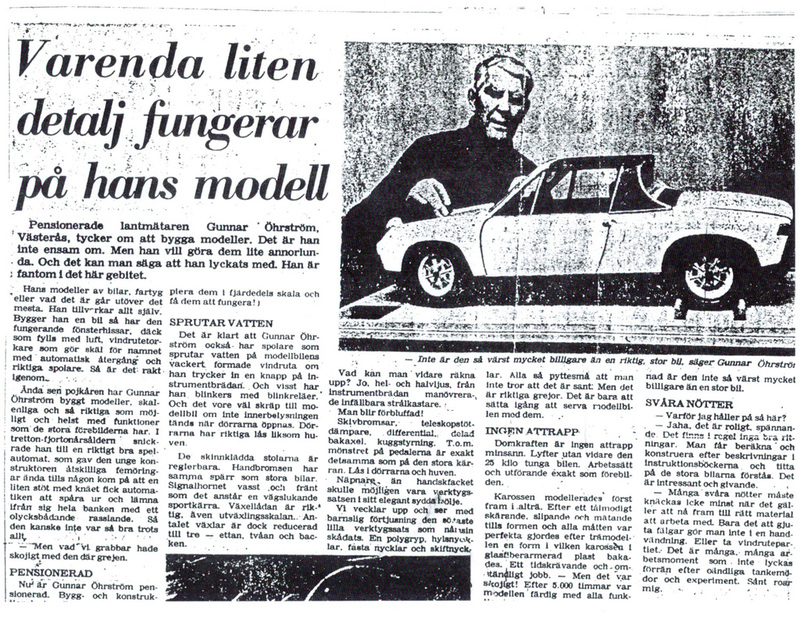 Partial translation of 1978 newspaper article. Retired, G. Ohrstrom, Vasteras, likes to build models. He is not the only one, but he likes to make them a little different, And you can say he has succeeded. He is the phantom in this field. 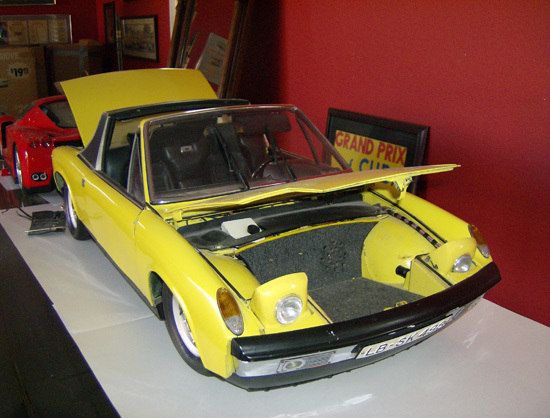 His models of cars, ships, or whatever it is goes beyond most known. He makes everything himself. If he builds a car it has working window lifts, tires that can be filled with air, working windshield wipers with automatic return and windshield wipers. That’s how the model is made all through. Since his boyhood Mr. Ohrstrom has built models up to scale and as accurate as possible and functioning like the real thing. Now he is retired and the models get more and more advanced. Something like a dream is his latest. 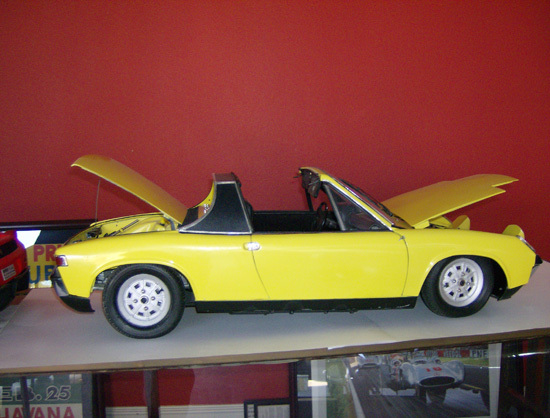 A Porsche 914 in scale 1:4.25. The model is as real as you can imagine. This masterpiece weighs 25 kilos. And everything, practically everything is there in this supermodel. You could mention 1OO’s of details, every one the result of hjs incredible skill and knowledge. He is the carpenter, sheet metal worker, upholsterer, electrician, etc. in the same person, demonstrating his impressive knowledge. What do you say About working windshield wipers – exact in every detail. Of course he also has washers spraying on the model car’s beautifully curved windshield if you push a knob on the instrument panel. There are turn signals and turn signal relays. 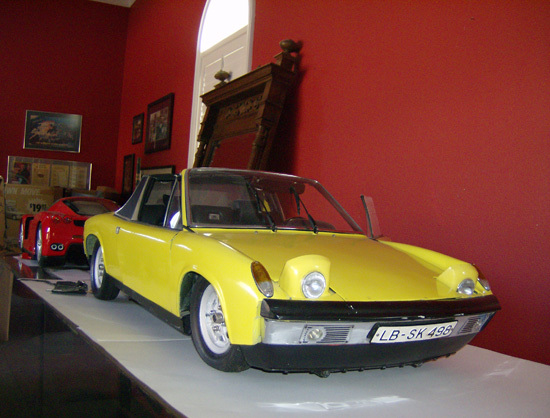 And it would not be a good model car if the interior lights didn’t come on when the doors are opened. All doors have real locks with keys, even the hood. The leather covered seats are adjustable. The hand brake has the same lock as the real cars. The horn has a tough loud sound as a sport car should have. The gear box is real with real gearing, but the number of gears are reduced to two forward and one reverse. What more is to be seen? Yes, bright and dim headlights. 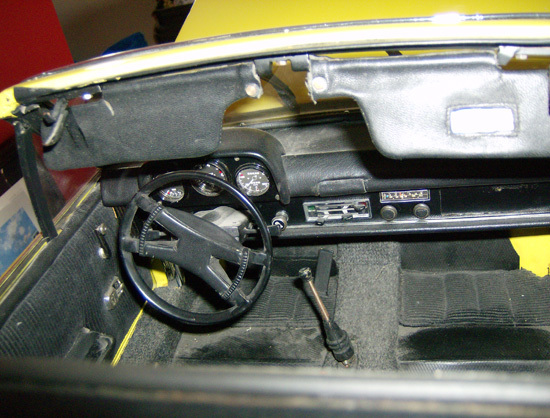 From the instrument panel you can activate the retractable headlights. You get astonished! 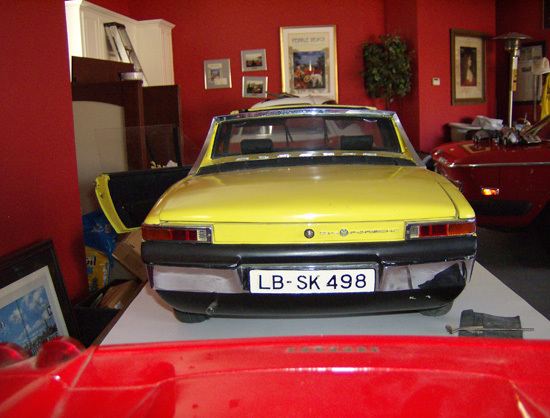 Disc brakes, shock absorbers, differential, divided rear axle, rack and pinion steering. Even the pattern on the pedals is the same as on the real car. 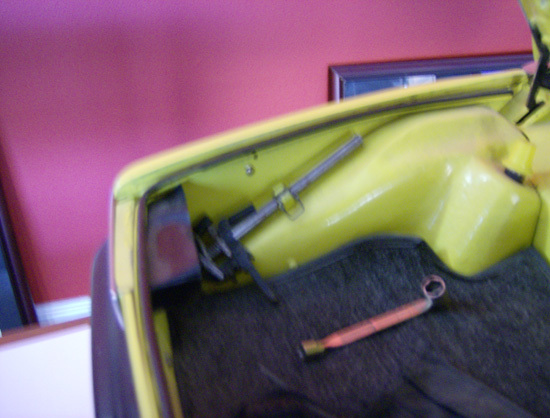 Sweeter than the glove box might be the tools in their special sewn cover. 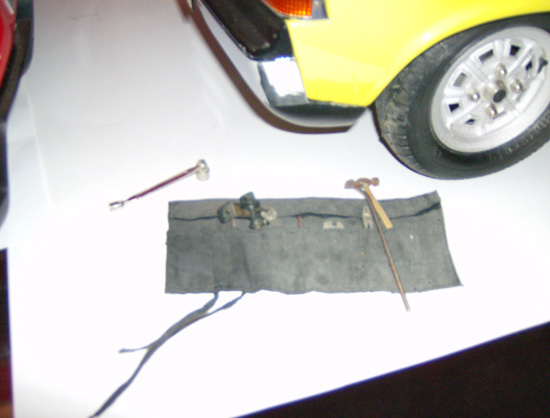 We open it and see the sweetest little tools, a polygrip, box-spanner set, adjustable spanners, etc. They are so small that you can’t believe it. But they are real. The jack is not a dummy item either. 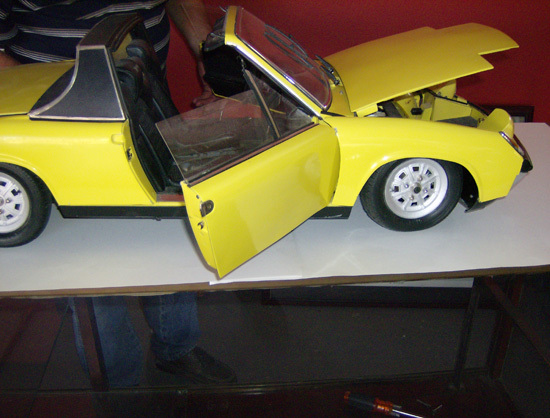 With no problem it will lift the 25 kilo car, exactly like the real jack. The body was first modeled in alder wood. 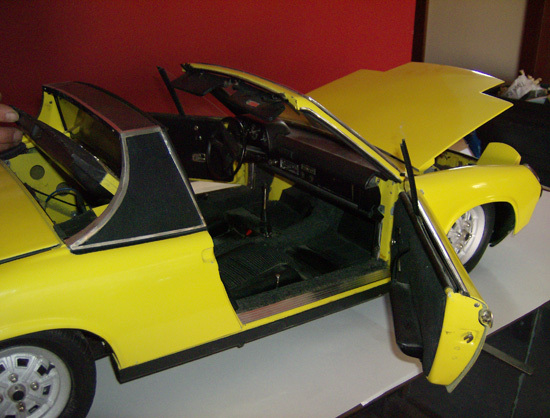 When it was perfect the fiberglass body was made. A time consuming and tricky job. 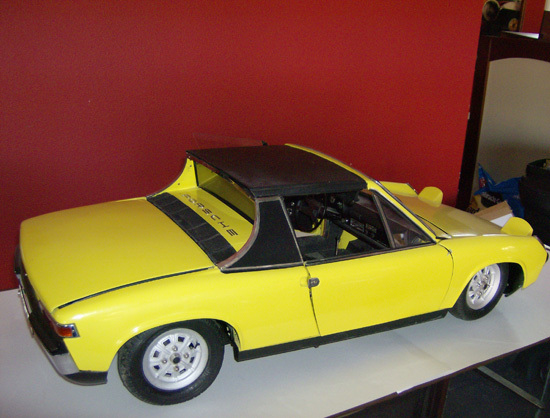 After over 5000 hours the model was ready with all the functions connected. His hands never rest. He is making furniture when he relaxes from the technical things. He has also built film projectors, TV sets, and a wire recorder. “I like to create things that are somewhat different” he says modestly.